The amount of sugarcane crushed in Center-South (CS) Brazil in the first half (1H) of May is expected to be 36.15 million mt, down 9% from the same period last year, but up 50% from the second half of April, an S&P Global Platts survey of analysts showed Wednesday. About 1.2 days of crushing was lost to rain, the survey showed, while in the second half (2H) April roughly three days were lost. Industry association UNICA is expected to release the official production figures for the key Center-South region in the coming days, possibly as early as Thursday. The 2017-18 sugarcane season began April 1 in the region, the largest sugarcane and sugar producer in the world. If the expectations for the cane crush in 1H May are confirmed, the cumulative cane crushed so far this season would total 77.86 million mt, down 28% on the year. Last season mills started crushing early as there was a lot of "cana bisada" (left over cane from the previous season) available. The drier-than-average weather also favored the pace of crushing last year. The range of analysts' expectations for cane crushed in 1H May was 34.3 million-37.3 million mt, while the expectations for the total recoverable sugar (ATR) ranged from 115 to 122.7 kg/mt of cane. The survey's average for the ATR was 119.06 kg/mt, down 4.3% from a year earlier, but up 4.7% from 2H April. The percentage of cane crushed directed to produce sugar is expected to come in at 45.87%, up from 42.91% a year earlier. The balance, or 54.13%, was used for ethanol production. Sugar production is expected to be approximately 1.88 million mt, down 9% on the year, while ethanol output is expected to have fallen 16% on the year to 1.37 billion liters. Of the total, hydrous ethanol is likely to have accounted for nearly 58%, or 796 million liters, and anhydrous for the balance. In Parana state, one of the sugarcane producing regions of CS Brazil, the amount of cane crushed in 1H May fell 6% year on year to 1.95 million mt, according to local industry association Alcopar. The ATR in the state was 130.1 kg/mt of cane, up 12.84 kg/mt from 2H April and up from 128.51 kg/mt in 1H May 2016. Total fuel and industrial ethanol sales (anhydrous plus hydrous) in CS Brazil in 1H May to the domestic market are expected to be roughly 900 million liters, down 9% on the year, according to a forecast by Platts Kingsman, an agricultural analysis unit of S&P Global Platts. Hydrous fuel ethanol is used in flex-fuel vehicles, while anhydrous is mixed with gasoline under a 27% mandate. 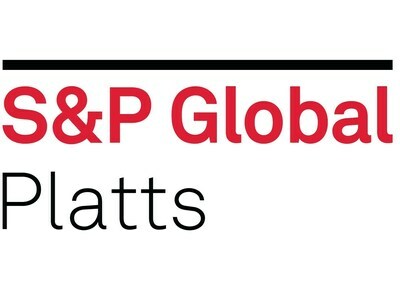 Contact Platts Communications to arrange interviews with Platts Kingsman sugar and ethanol analysts: Alessandra Rosete, Beatriz Pupo, Claudiu Covrig and Maria Nunez. If you would like to receive this on a regular basis, please select Agriculture at this alerts sign-up link.